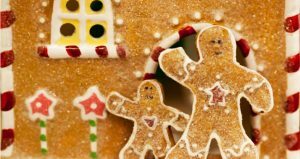 Purchase your DIY kit which includes the gingerbread pieces for a house, icing and candies. Kits are $12.00 each and $10.00 of every sale goes to CFAX Santa’s Anonymous. Kits must be picked up December 14, 2018 in Esquimalt High School’s cafeteria. In previous years Esquimalt High School Culinary Arts Program has sold upwards of 200 kits and this year we hope to exceed that. Please help spread the word and thanks again for supporting this annual endeavor.